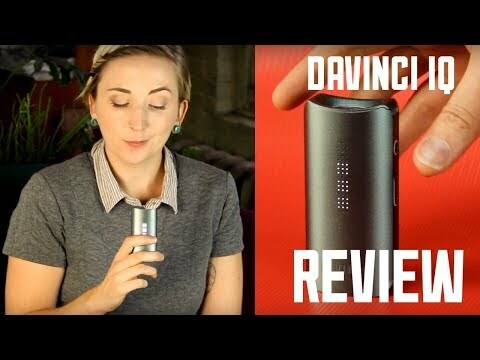 Crave Cloud Portable Vaporizer – The Exclusive First Review! Crave Cloud Portable Vaporizer &#8211; The Exclusive First Review! The second product from the guys who brought us the Crave Air, we’d like to introduce you to the Crave Cloud Portable Vaporizer for dry herb! Just like the Crave Air before it, the Cloud has a LED analog display with individual LEDs for both temperature setting and battery life indicator. The vape has four preset temperature settings that range from 185°C (365°F) to 195°C (385°F), 205°C (400°F) and finally 220°C (428°F) to help finish up the session. While we know that lots of vapers out there appreciate the freedom full-spectrum digital temp control brings, in this case, the four set temps are more than capable of delivering a next level vaping experience. The new Aussie designed vape blows huge clouds of immaculate tasting vapor, and is a super efficient way to consume your herb. If you're in the market for a trendy little portable with great vapor production, scoop your Crave Cloud today! If you’re in the market for a trendy little portable with great vapor production, scoop your Crave Cloud today!